Seven weeks in Congo have come to an end. By the time you receive this we, Lord willing, will be boarding our first of three flights taking us back to Canada. I could give you lists of jobs completed, challenges endured, and parasites we’ve had to remove from our bodies… But all I want to tell you is that it was worth it. And I don’t think there’s a better way than to tell you about Emily. Emily suffers from epilepsy. A few weeks ago she had a seizure and fell into her cooking fire. Her family rushed her to Pioneer Christian Hospital where surgeons did their best to save as much of her extremities as possible. Try as they did, the damaged sustained to her body resulted in losing most of her right arm and parts of her left. The family, now hours away from their village, employment, and home, were stressed at the thought of a long-term hospital stay. Staff and missionaries did all they could to assist the family, but Emily’s prognosis was not good. She wasn’t healing and was becoming more frail by the day. An infection would have been lethal. Then it was discovered that the money given to the family to provide food for Emily, which is only available in the most dire of situations, was being consumed in the form of alcohol by her daughter, her supposed care provider. Emily, now a burden to her family, was not being fed. 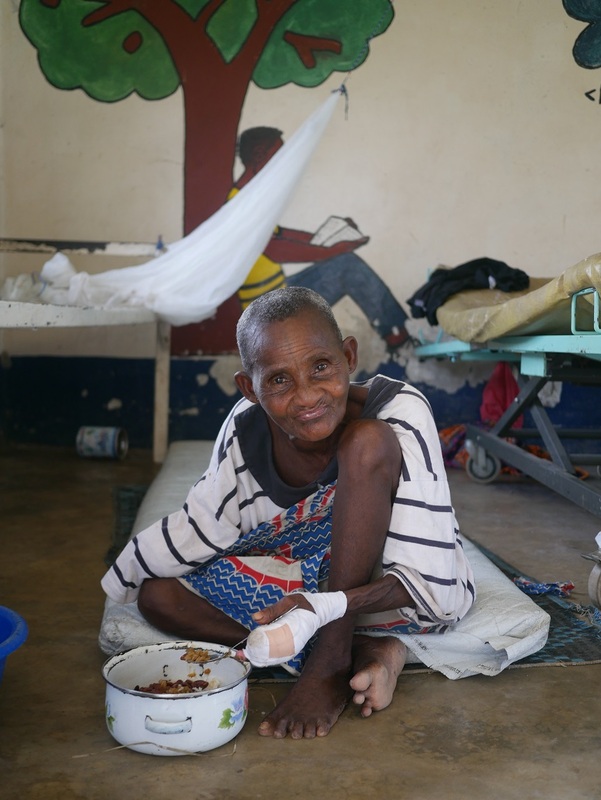 Emily is one of many patients in difficult situations at Pioneer Christian Hospital, where we have been serving these past seven weeks. The 60-bed facility serves some of the most vulnerable – refugees, indigenous people, and those suffering from HIV/AIDS, tuberculosis and leprosy. The hospital, like many in the developing world, is strapped for resources and could not provide for the nutritional needs of patients. That was left to the patient’s care provider. For many though, like Emily, that system wasn’t conducive to healing. And without nourishment, healing is impossible. In 2016, after a visit to PCH, God burdened me with the seemingly impossible task of creating a feeding program that would meet the nutritional needs of all inpatients. We prayed and begged God for provision. 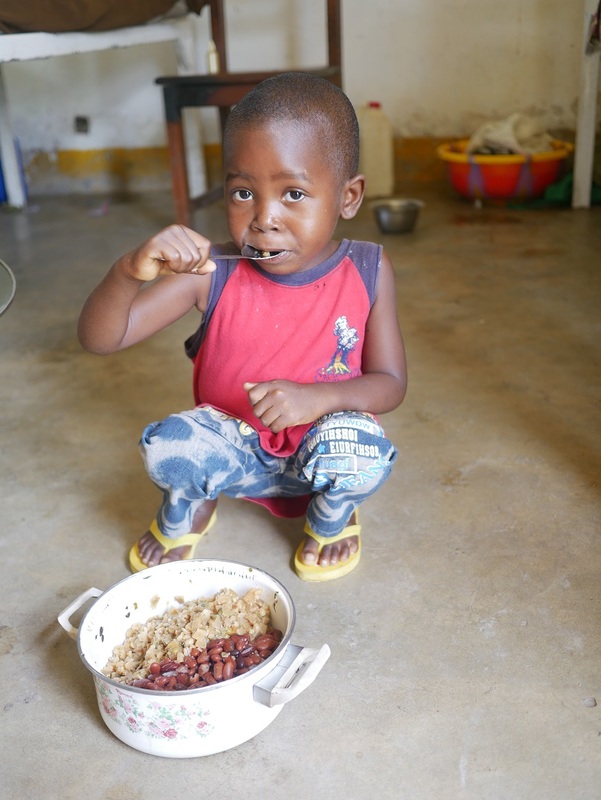 We launched a funding campaign for such a feeding program, and the Lord provided! This trip to Congo was my return to implement the program by hiring and training staff, ironing out distribution logistics, and transferring these responsibilities to local staff. 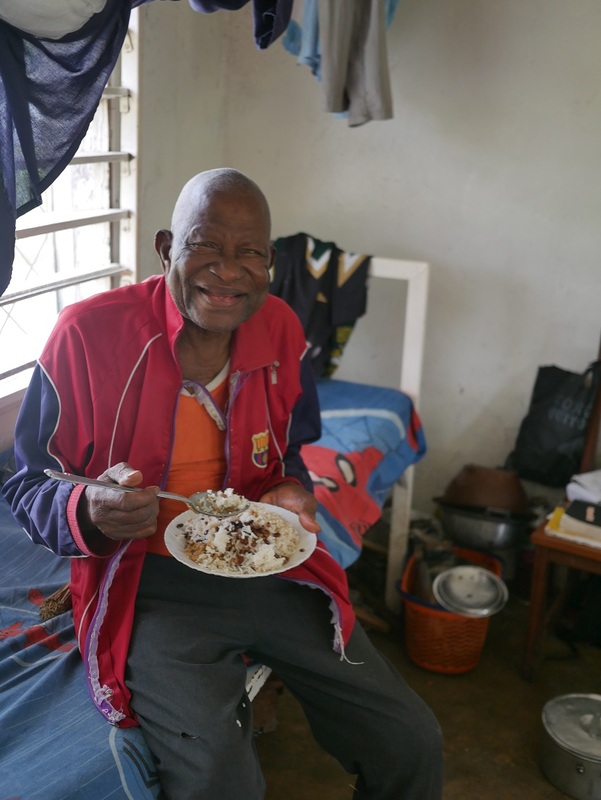 Operating on a strict budget and within limited space and skill, the hospital now meets the daily nutritional needs of all inpatients – a feat that was once seemingly impossible, now fulfilled by God! When we arrived, Emily was already a patient at PCH in the post-surgery ward, under the difficult circumstances I described above. The feeding program started a few weeks into Emily’s hospital stay, and thanks to those hot nourishing meals, she is recovering! She is now healing well, in good spirits, and is gaining strength and independence by the day. Her story is only one of many that I have witnessed, and will be one of thousands during the years to come. From the bottom of my heart (and Emily’s too!) thank you for your support of this program and sending us back to the Congo to implement it. You have made an incredible difference in the lives of so many people.